The Western Wall is part of the west wall that surrounded the second temple's court in Jerusalem, and not the wall of the temple itself. 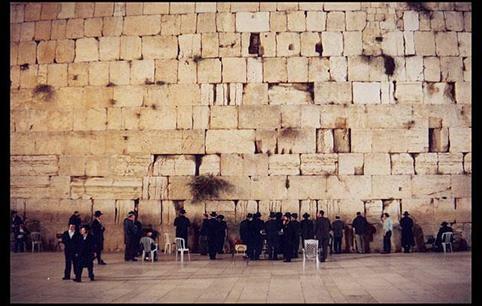 The Western Wall became the holiest place to the Jews for generations, and a symbol of the temple, which was the center of religious and national life of the Jewish people. It is a center for Jewish pilgrimage for Jews from all around the world, that come to pray everyday of the year and especially during the three pilgrimage festivals: Passover, Shavu'ot and Sukot. The visitors at the western wall place notes with different wishes and requests between the wall stones.